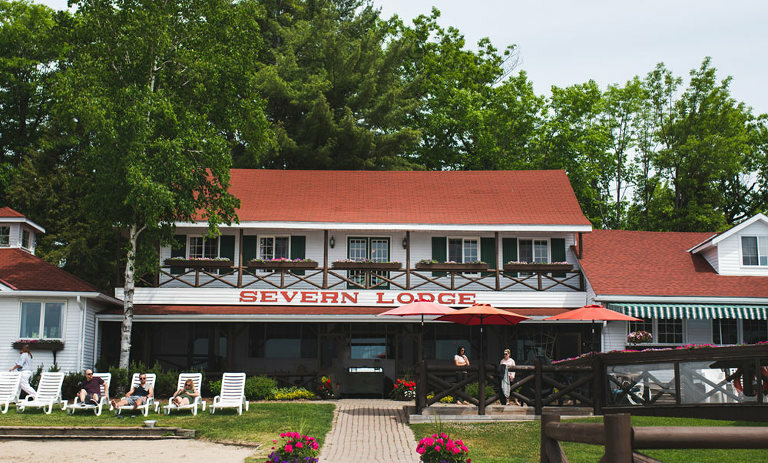 It’s nearly in my backyard, yet Jessica and Jesse’s Severn Lodge wedding marked my first shoot at the popular resort. After meeting with them for the first time a few days earlier, we walked through the timeline and chatted a little about what they hoped for on their wedding day. I quickly got a great feeling with their laid back nature while at the same time wanting plenty of photos of not just them, but also wanting their closest friends and family well represented in them. Later during all the amazing speeches during their reception I got to learn a little more about Jessica’s real life Spy vs Spy capers as a child along with Jesse’s mad dance skillz and over the top car base thumpin’. It’ll be entertaining to see what kind of karma the universe has in store for them when they decide to have kids. Weddings are not without a fun story or two and I found myself at the end of a group of glaring daggers at one point. Shortly after the ceremony ended, we gathered the entire group of guests in front of the main lodge for one huge group photo. During that time I ran upstairs and began shooting from the balcony above. 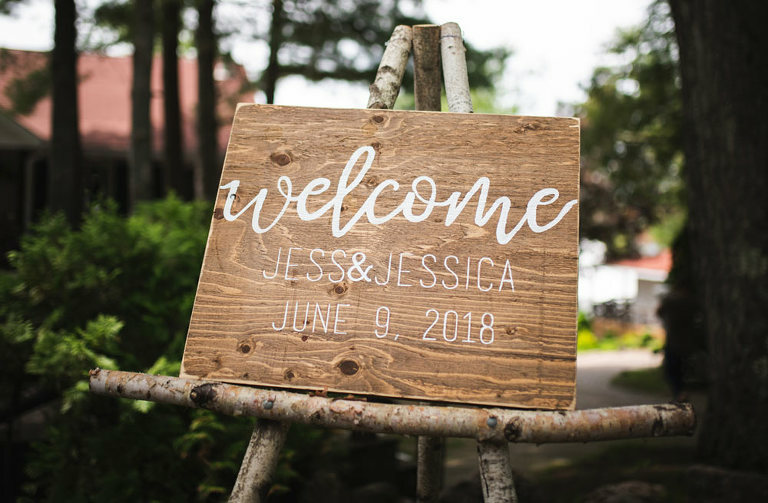 What nobody else knew besides myself, Melissa the wedding coordinator and Jake the officiant – was that a float plane was scheduled to land on the lake to surprise Jessica and Jesse immediately after the ceremony. I had finished shooting the group shot and peeked out across the lake – no plane. So I shot a few more, playing to the crowd below a little for some fun shots… still no plane. Jake and I looked at one another mildly concerned with 100+ people staring up at us – he had his microphone and was waiting for the plane as well so he could make the surprise announcement. So I delayed a few moments more while I began adjusting my camera faking like I was actually doing something to it – now feeling the pressure of them thinking I was some kind of half-assed amateur. 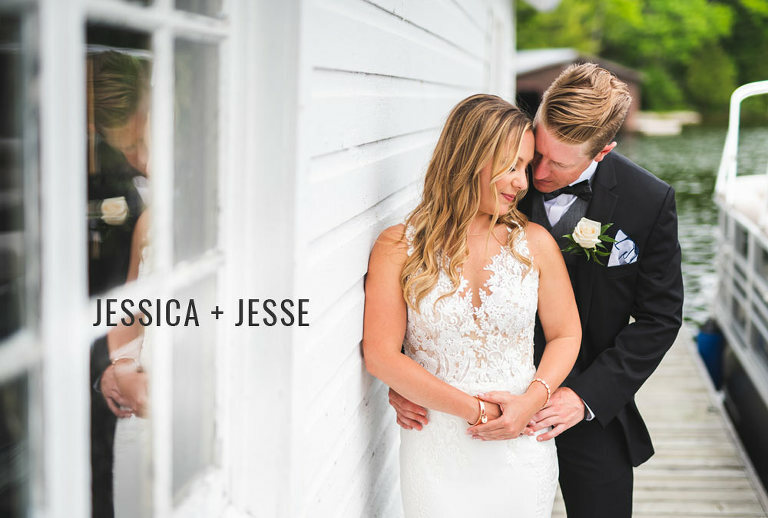 When the plane still hadn’t arrived I whispered to Jake, that he should simply make his surprise announcement and ask Jessica and Jesse to walk to the end of the dock to meet the plane. Eventually the plane buzzed the tower over head and everyone’s jaw dropped. As a wedding photographer, you’re used to groups looking to you for leadership and instruction throughout the day. However, taking a bullet in this particular situation to preserve the surprise was a little nerve wracking. We met through a mutual friend (his best friend’s little sister) after a concert. Her and I were stranded for a ride home and he picked us up. Jessica: His costume (full wolf suit). Jesse: Her mini skirt (she was dressed as Hello Kitty). On a private balcony at a hotel in Whistler Village. He was too nervous to wait until dinner so we were enjoying champagne and the view. When I went to the washroom, he got down on one knee and I found him like that when I returned. Jessica: His handy-ness and free spirit. Jesse: How she makes me laugh/smile. Cruising the waterfront in Severn Lodge’s vintage boat. Jessica: The surprise sea plane ride that my step dad got us right after the ceremony, very cool and intimate. Take a moment to have to yourselves (highly recommend sweet heart table) plan ahead and no matter what enjoy!! Support your wife’s choices and planning and make sure the boys look good! 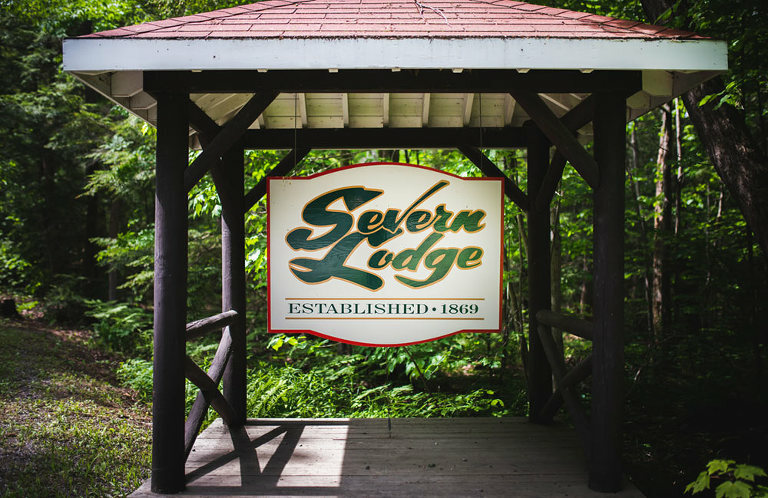 WHAT MADE THEM CHOOSE SEVERN LODGE? The location. Very private resort with large water front including a ton of activities, large dock, the food, the staff, easy drive from Toronto. Fireworks to kick off the wedding party!